Each piece of solid wood is unique and therefore there are possible variations in it's color and it's wood grain. 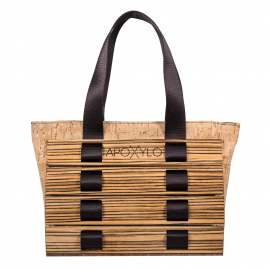 Cork is a natural water resistant, eco friendly and vegan material and also recyclable. 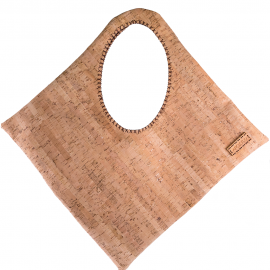 It is also biodegradable and hypoallergenic as it doesn’t absorb dust. Oak forests absord 14 millions of tones of carbon dioxide, contributing to the protection of the environment. The Oak tree after 25 years of growing is ready to produce cork. Every nine years the bark cork is extracted carefully not to harm the tree, so it can be productive again after nine years, without extracting the tree. After processing it becomes a very soft and smooth fabric, which is very light, stain and scratch resistant and cleans very easily with water. Each Piece is Designed and Crafted with a Unique Timeless Style. Unveil an item throught a gift wrap. 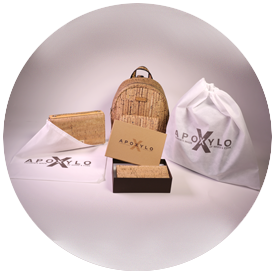 Every Item is carefully delivered in an Apoxylo crafted box.